My name is Sanat Kumara. You asked this one a question of how things are, or maybe you could say, how things go? The situation, I tell you my friends, is still very serious. There is much, much work that still needs to be done. You see what is happening with the earth is that one group, when I say one group I mean a consortium of groups, are working on the healing of the planet, and another consortium of groups are working on the destruction of the planet. Some of them are working on the wilful destruction, and of course that is for their own ends. Others are working on the destruction of the planet, but it is not wilful. So at this stage we still have, in many ways, a very serious situation. But I can tell you that the changes will not be anything like as serious as have been predicted. From the 1970′s and even before, many were predicting nearly total destruction of this beautiful planet, of your Mother, this Earth. But beloved children, because of the love within your hearts and the love within the hearts of many others, this situation is daily being turned around. So we would ask you not to put your effort into being fearful. We ask you to put your efforts into being joyful, and grounding these loving energies to the planet. Do what you can with love, and we ask that you do no more, except participate and take part in these Earth Healing projects world-wide which are now being inaugurated by this group from London. The details are available all around the world. You could ask these facilitators about the details so that you have them. We have one worry now and this is a very big worry to us, that again they will start using these nuclear weapons of mass destruction. There is a nation, a European nation, which is again planning to take up this testing of weapons on the islands in the Pacific Ocean. It is very important that ordinary people know that this must not happen. It must not happen, my friends, because at the testing of these nuclear weapons, even though it is underground, (and many one think that if it is underground it is no trouble) but it is trouble, because what it does is, it shakes the Earth. It shakes the plates, it interferes with the molecular structure. It causes stresses upon the plates and if this is allowed to go ahead it will actually greatly interfere with the current plan for the Ascension of the planet. Believe us, there are many working on the stabilisation of these plates. 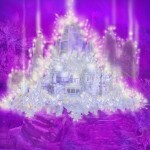 The Ashtar Command have ships that are beaming energies of love. They are beaming energies which de-stress these plates. Not only do these nuclear weapons interrupt the vibrational frequency and patterns of your planet, they too my friends reverberate through dimensions, in fact through dimension after dimension. What happens when these weapons are used, both overground or underground, you are blasting holes through dimensions. You are interrupting the lives of others that are living in parallel universes. This information about these tests is being suppressed by the media. You know that your media, radio, television, newspapers are all millions of controls within your lives. They control you through fear. They never tell you about the beautiful things that happen upon your Earth, about the love that abounds upon your Earth, the beautiful healings that occur upon your Earth. They control you with fear and guilt. They tell you, my children, that your motor cars pollute the atmosphere and ruin the ozone layer. They tell you this because it makes you feel guilty about driving your vehicles. They omit to tell you that it is the governments, the multi-national companies, that are grossly polluting the atmosphere. They are polluting it with their by-products and they are polluting it with the products that they manufacture for people to consume. So you see I only tell you this, not to make you fearful, but to make you realise what is happening through the media – the suppression of many facts. So you should pray my friends and get your other associates, comrades, the people that you work with and love, to also pray that they will not activate these weapons upon this planet ever again. It is very important. But when I say that it interrupts the plan, that is only what it is, because the plan is in accordance with the Father’s divine will, in accordance with the Father’s seed blueprint for his creation, and this plan is infinitely variable. It is not fixed. The only part of the plan that is fixed is that this planet will ascend and the inhabitants of this planet will ascend with her. Your planet is becoming a star, and you can become stars with her. So please don’t worry too much my friends. Be responsible, but do not put your energies into worrying. Put your energies into love and happiness. Offer them to the Earth, offer them as healing energies to the Mother Earth. Success is guaranteed. We have worked for many millions of years on this planet for the ascension.. Do not worry my children, this is not the first planet that we have worked on ascending. Ascension is guaranteed. The cleansing of the planet is guaranteed. Do not be fearful that through the changes ones will lose their lives, because now is the time for everybody to know within their hearts that they are eternal. It is time to know that you are eternal, eternal spirit souls, and if you lose your physical body or to put it into third dimensional terms, your life, during these changes – do not worry, because you still are and always will be. Many ones will panic of course. Many ones will not have the realisations that you have. They will not be working with the love that you are working with. You can help them through their transition. It is inevitable that there will be interruptions in the Earth’s crust, that the Earth’s plates will move, that the waters will rise and fall, that the Poles will melt, the weather will change. Look forward to it my friends, because change is the way back home. Because when you think about it, much change has to come about. If only you could now see all the changes that need to be made within your own lives. They are many, they are myriad. Don’t be daunted by the task. Go forward with love. Ground the energies of love. Be love. These are instructions to you. 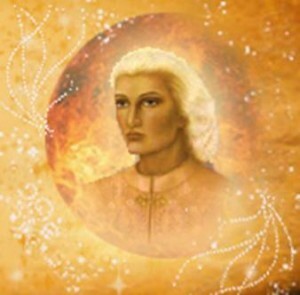 My brother, Sananda, would tell you, don’t look for complicated solutions. Open up your hearts in love, open up your hearts in compassion. These are the only real instructions that we have to give you, because with this love and compassion all will become love. And love is the true energy of the Father. I would ask you now to again sit, just to straighten your backs slightly and concentrate upon your breaths for a moment to balance your energies and open up your hearts and feel this love. Feel now the activation of the twelve pointed crystalline star within your heart chakras. Thank you my brothers and sisters for coming. Thank you for taking part in this beautiful vortex of love, flowing from the Father and flowing from Sananda, Mother Mary, I, Sanat Kumara, and many others that have taken their ascension. Many ones are standing around this group. Many ones are standing above this group and many ones are standing beneath this group because we have capabilities of being everywhere at once. I tell you, they are clapping, they are cheering. Some of them are sobbing in happiness. Goodnight my children. I am Sanat Kumara. Adonai and Namaste. Channelled by John Armitage at De Sprengk, Tilberg on 29 March 1996.